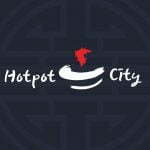 Renaud Consulting is pleased to announce the signing of the new lease of Hot Pot City located in Rockville Town Center. Alan Tan of Renaud Consulting provided representation on behalf of the tenant. RC Agent: Alan Tan represented the tenant. Cooperating Agent: Special thanks to Matt Skalet and Kim Stein of KLNB who represented the landlord.